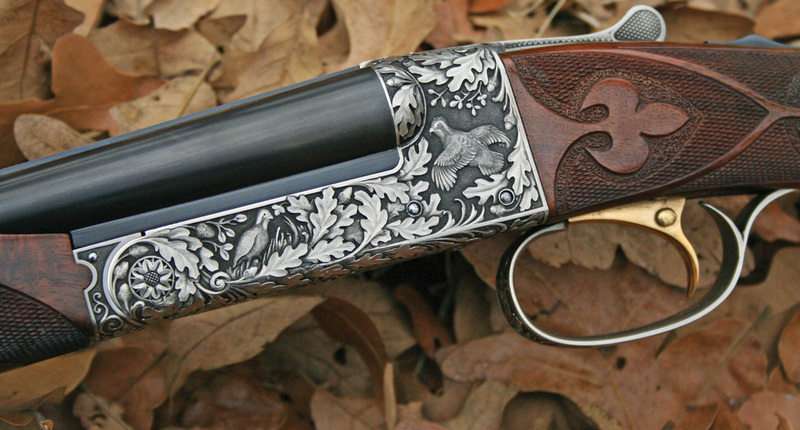 Today’s old gun markets have almost everything for the gun collector. We collect because it is fun to learn about and possess these old firearms, whether they are the Guns that Won the West or the sidearm grandpa carried at Belleau Wood. Good collecting, the most satisfying kind of hunting and gathering or “accumulating,” becomes more than simple acquisition, more than decoration; it becomes a life-long passion that involves more than hiding artifacts in a safe. The deeper we get into antique firearms, for instance, the more questions we ask: Did Remington manufacture .38 rimfi re Vest Pocket Pistols, its “Saw-Handle Deringer,” or were these simply mis-gauged .41s? And how many .30- and .32- caliber models were made? Are these versions quite rare or simply odd? It is a challenge to dig into the unknown. There are so many peculiar and unanswered questions in every facet of firearms as to boggle the mind, and trying to decipher these puzzles keeps us on a learning curve when our human brains, by some medical and sociological accounts, have long since fossilized. Does it matter to the human race whether Remington manufactured .38 rimfire Deringers? Probably not, but it may matter to us, personally. The mental stimulation of learning about any technology such as guns – the arguing, debating and researching – is sufficient reason, quite apart from actually owning them, to collect. It is really no different than a medieval monk laboriously transcribing an ancient parchment scroll. It is brain health. But actually owning the old guns, turning them over in one’s gloved hands, poring over them with a magnifying glass is also important. There is a story about an old duck hunter who has taken his grandson into the marsh. The old man calls and the cold wind blows and the boy shivers. Finally, the ducks swoop in and the old man points out the mallards and the blue wing teal and shows the boy how to tell them apart from the wood ducks, the drakes from the hens, and coaches him about lead, but the old man does not shoot. “You have to own them.” Learning about old guns is wonderful and some might say a sufficient reason to be interested. That coin has another side, however, and that is actually making a purchase; taking home your first gun. And that thrill – and it is a thrill – is absolutely necessary to fully participate in and enjoy this antique field, whether or not it is ultimately a meaningless activity and whether our kids follow in our collecting footsteps. According to Gabby Talkington of AntiqueLures.com, “The person who gets into collecting because he or she enjoys it is going to come out ahead, no matter what happens to the market. If they have fun studying old lures or whatever, then when a barrel of oil reaches $200 and the bottom drops out of the stock and collectible markets, they won’t be hitting their head against the wall like they would if collecting was just some investment. If they’re collecting because its fun to fi nd and have this old stuff around and the prices go up…then that’s kind of a double bonus. “There is the risk that the bottom [of the collector market] will fall out tomorrow. The collectible decoy prices fell. Gold coins fell. Baseball cards fell. Think about it again. You didn’t sell that lure for $1,000 last week…and the very next week the market crashes and we are back to the $5 lure! Don’t laugh, it could happen. It has happened before. “In 1988-89 the prices went through the ceiling and crashed the next year as the rolling recession of the 1990- 93 period started. With the Asian and Russian economies crashing in 1998 [and ultimately rebounding] we may see the same results sooner than later. Perhaps it is the same in every collecting field. A group gets together for a beer and talk turns to “what Dad did in the war.” The next time they have a neighborhood Bar-B-Q someone brings an old Nazi battle pennant and soon, someone else brings the Luger that his father smuggled home from Germany. Then someone buys a book such as the annual Standard Catalog of Firearms or does an Internet search for “gun collecting” and a whole new pod of collectors springs to life. The men and women in this hypothetical neighborhood group illustrate an excellent way to get started in collecting – start or become part of a group. One person’s interest feeds that of another and enthusiasm, stories, good purchases and even screw-ups become a commonly shared experience. A quiet competitiveness is naturally awakened within the group. While joining a club or hanging out with other collectors is a great way to get started, there is really no “wrong” way to begin (unless it is to rush out and buy something impulsively). Nevertheless, most collectors, writers and gun experts suggest that to get involved in collecting with the objective to make money buying and selling guns as investments is close to the wrong way. Florida’s Norm Flayderman believes that gun collecting has so far been isolated from dramatic market swings because it has not attracted hordes of “investors,” people hoping literally to get rich quick, the Warren Buffets trying to corner the market on silver, for instance. What has given the antique or collectible gun market its continuing viability is that collectors know the guns and have an interest in them other than strictly their monetary value. NM Collector SoftwareThis gun collecting series brought to you by NM Collector Software. 1) Read and Learn. The rules of satisfying collecting are perhaps everywhere the same. They begin with identifying your interest and – before collecting any firearms – collecting information, building a storehouse of knowledge. If you are enticed into the field by the romance of the American Frontier era and enjoy looking at old Colt firearms, your fi rst purchase might be Doc O’Meara’s book on the Colt SAA.2 O’Meara’s book will both inspire you to collect and alert you to some of the nuances of the field, Bisleys to Buntlines. The more you read and learn, the easier it will be to narrow your interest and objective when you get that itch to write out a check. And the more secure you will feel when you return home without that sulkingly familiar “buyer’s remorse.” Every bookstore has an outdoor section that contains a sample of gun books, but the best references for these invaluable collector’s aids can be found online with a minimum of searching. a group, the new collector can find a mentor and can, in turn, become a mentor. There are quite a few gun-collecting associations and we provide a brief listing of national groups in an Appendix at the end of this book. 3) Attend Gun Shows. At an early stage, it is a wonderful use of your time to visit local gun shows. Unless they are so designated, local shows will not have many antique firearms, although many curio and relic (C&R) guns and a ton of reproductions will be on view and on sale. Gun shows are a great place to make contacts, to pick up business cards of men and women who may take time with a newcomer, to learn about organizations that provide contacts and information. think; time to just sit and stare at the gun…. 4) Avoid Impulse Buys. The fourth rule of good collecting is to avoid the rush to make a purchase. Everyone is, on occasion, struck with the craving to buy now, as in “right now.” It is a strain of impatience that runs deep in the male species, men generally possessing the pro-buying, anti-shopping gene. Generally speaking, if something looks too good to be true, it probably is. Today, the field of American firearms holds many questions, but few surprises. Still, every serious gun collector has a story about making an impulse decision to buy a firearm without thoroughly examining it or questioning its owner. It happens when one is distracted and can happen to an expert as well as a newbie. The field is littered – some say heavily – with altered and even downright faked firearms, and so when the impulse rises to make a snap decision that will cost hundreds or perhaps thousands of dollars, your best course of action is to walk away. Ninety-nine percent of the time this will be the correct long-term decision. said, we would buy a great telescope. Learning somewhat in a vacuum with only pictures and nothing to actually handle, manipulate, enjoy, I found words about objectives lenses and diopters and image stabilization to be terribly frustrating. I never got a telescope and eventually lost interest. I did not want an expensive motor-driven refracting telescope anyway…just something to play around with. The recollection of that experience, and others since then, have led me to believe that nothing quite beats handling the real thing to stimulate interest. You must have something to “play around with.” Only by investing in more than moving our eyes and perhaps our brain, only by making a real purchase can we extend the learning and enjoying experience. who is selling to you; know where they will be two weeks after your check has cleared. By developing a long term relationship with a seller – whether it is an auction house or a private gun trader, 3 one begins to develop trust. A serious caution is in order here, however. Even though you may be collecting for fun, money is changing hands and that makes some aspect of collecting a business. If it isn’t a business for you, it almost certainly will be for the person who is selling to you and in a business relationship you must, in the words of Ronald Regan, “Trust, but verify.” The first time your new best friend approaches with a Confederate Colt, show your interest and ask for the paperwork, the provenance, and for any independent evaluations that might be reasonable. If the seller is legitimate and the product is legitimate as well, your questions and requests for independent authentication will not be offensive. You might also ask for a written, 90-day money-back guarantee. If you are afraid to speak up, you lose. The 2015 Standard Catalog of Firearms, 25th Edition is the preferred desk reference guide to the realm of antique, vintage, and modern firearms from around the world, and is now in its Silver Anniversary, 25th edition with more than 26,000 listings of collectible and modern firearms. This industry-leading reference on firearms valuation and pricing has everything you need, whether you’re looking to buy, sell, or collect firearms.